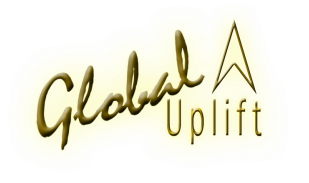 Global Uplift was formed on September 30, 2000. We have been treated as a publicly supported organization and funded completely by the people of Monterey County. The extreme generosity of Monterey County has led to numerous successful projects. There is no administration cost of Global Uplift as everyone volunteers their time. The citizens of Monterey County who volunteer with us pay travel costs out of their own pocket in order to ensure that all donations go directly to helping those in need. We are very grateful to the people of Monterey County for their continued support, generosity and passion to help those in need. The people of Monterey County have always been generous and supported any good cause. At times, Global Uplift has had to request that people not give anymore as the charitable cause has been met. 3. To provide educational scholarships for underprivileged people in the United States and throughout the world. Thanks to Monterey County, Global Uplift has been involved in a plethora of projects both locally, domestically and internationally. On January 26, 2001, there was an earthquake in India. With the help of funds from the people in Monterey County, 200 homes were built in the village of Kauran in Gujarat, India. Salinas City Council member Janet Barnes went to India to inaugurate this village on June 26, 2001. When the September 11, 2001 attacks took place, Global Uplift, through the help of one of the donors -- namely the Cosentino family, was able to provide free rental facilities for over six months in Monterey to the American Red Cross. In addition, people in Monterey County donated through Global Uplift a check of $5,000 to be used toward the families of New York police officers who were killed in the attack of September 11, 2001. As part of the Katrina relief effort 500 tents were delivered to the Katrina disaster area. Eric Liittschwager, the leader on this project, flew from Monterey County to Houston, Texas. He then drove a truck to the affected area to provide volunteer services and support. Donna Pharo collected funds to be sent to a church in the Katrina disaster area to feed the poor and homeless. Many other volunteers agreed to help in this relief effort as well. Every year, Global Uplift provides blankets to the homeless at Dorothy’s Kitchen in Salinas during Thanksgiving.